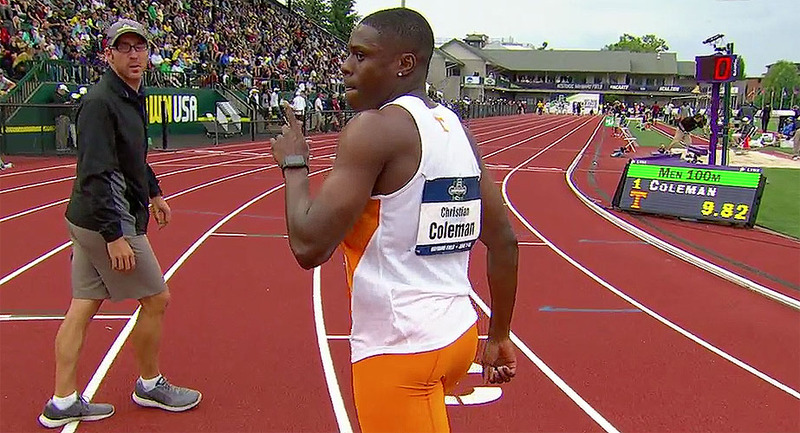 EUGENE, Ore. — Tennessee sprinter Christian Coleman smashed a collegiate record in the 100m semi-finals on Wednesday night, posting a time of 9.82 (1.3 m/s) seconds on Day 1 of the NCAA Championships. 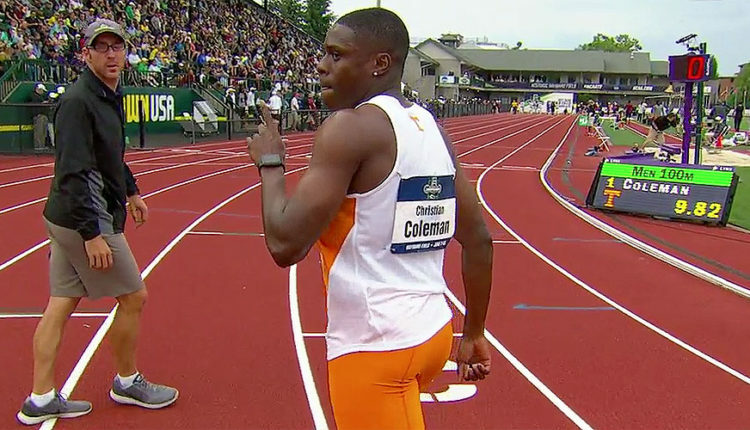 Coleman, who has been the hottest sprinter at the college level this season, broke the previous record of 9.89 secs, set by former Florida State sprinter Ngonidzashe Makusha in 2011. The junior, who is unlikely to return for his senior year next year, said after the disappointment in the 4x100m semi-finals, where the Vols failed to qualify for the final, he wanted to come out and put down a good time to represent. Also breaking the 10 seconds barrier in the semis were Christopher Belcher of North Carolina A&T and Cameron Burrell of Houston, who both clocked 9.93 seconds. Meanwhile, Nethaneel Mitchell-Blake of LSU who came into the meet as one of the strong medal contenders, was the eighth qualifier in 10.03 secs after finishing fourth in his heat. The final of the men’s 100m is set for Friday, with Thursday being a rest day.